Brussels sprouts (Brassica oleracea var. gemmifera): growing, planting, caring. A miniature cabbage, with a sharp Belgian accent. The Brussels sprout is a cultivar in the Gemmifera Group of cabbages grown for their 2.5–4 cm (0.98–1.6 in) wide buds. Brussels sprout, or Brassica oleracea var. gemmifera is a variety of cabbage, an herbaceous plant of the family Brassicaceae, cultivated for its axillary buds that form small round heads, eaten as a vegetable. Brussels Sprout can be harvested in the autumn or winter, or even spring - depending on when you sow them. Avoid too rich a manure, and sow in a deep, cool soil and not fully exposed to the sun. You may seed starting at the end of winter under a greenhouse tent or cold frame for an early harvest - you will transplant then in open soil in May. Transplant your Brussels sprouts sown under cover after the last frosts, when they carry at least 3-4 true leaves, in the ground, in loose soil, fresh, moist, rich, in semi-shade. If the soil has not been properly amended beforehand, put some compost at the bottom of the hole. Plant every 50 cm - space them properly to avoid diseases, such as mildew - possibly pruning roots / root ball to prevent drying out. Lightly bury the collar of your cabbages.Water plenty each plant. Plant the Brussels sprout until the first leaves, after the last frosts, in open soil, in fresh, moist, rich, loose soil, in semi shade. If the soil has not been properly amended beforehand, put some compost at the bottom of the hole at the time of planting. Plant every 50 cm - space them properly to avoid diseases, such as mildew - possibly pruning roots / root ball to prevent drying out. Water plenty. Protect your late Brussels sprouts from winter cold with a wintering cover or some thick mulch, starting in November. Brussels sprouts like rather cool soils and should therefore be watered regularly during droughts. Check the substrate, under the mulch, and do not let it dry, and water while avoiding the leaves: the Brussels sprout is sensitive to mildew, which develops in moist atmosphere! 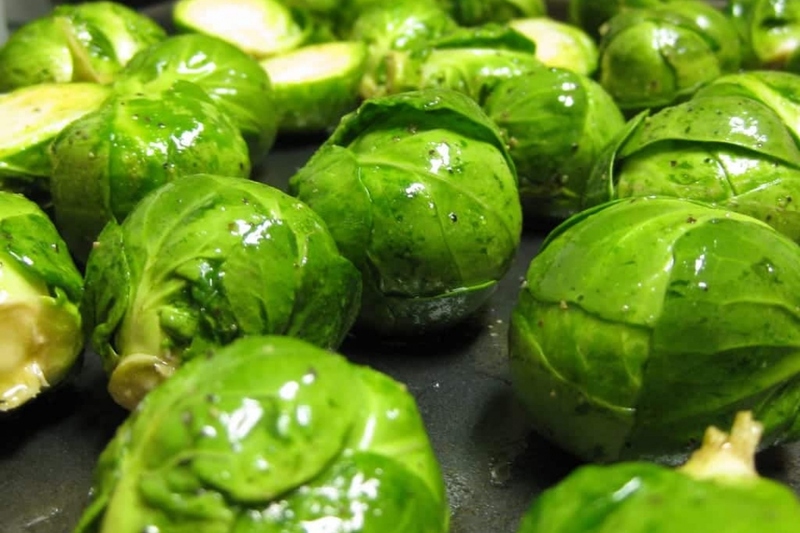 The Brussels sprouts are harvested as the main stem rises: start with the apples of the base, when they reach 2 to 3 centimeters in diameter, then we go up as it growws ... just "break" sprouts that grow laterally depending of your needs. After the harvest, tear off the roots to make room for other crops.